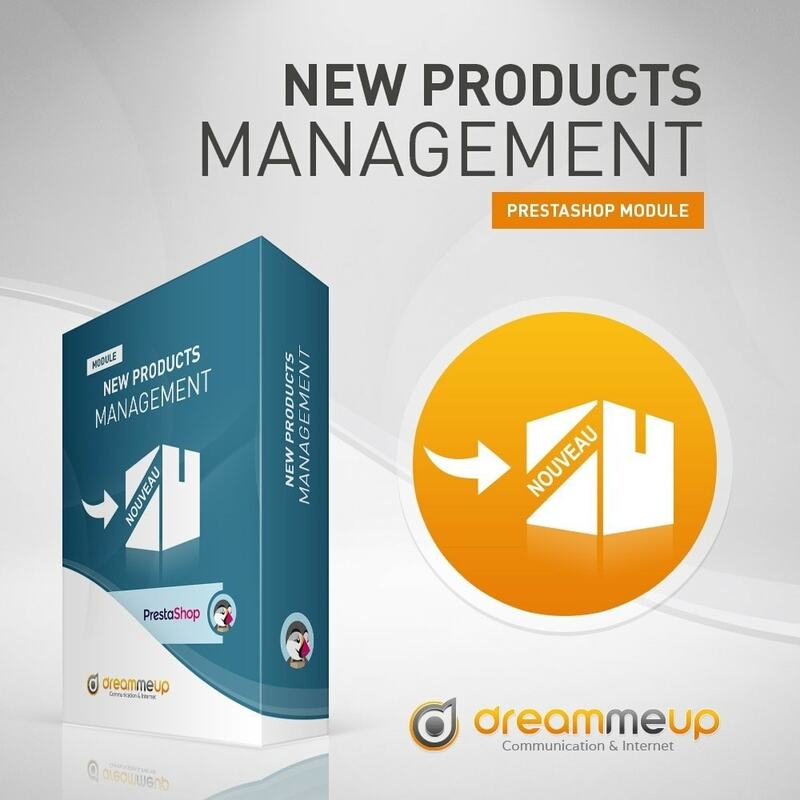 This is a quick and easy way to administrate your "New products" display on your e-shop. Displaying your new collection on all the provided spaces on your e-shop can take a lot of your time ! It is difficult to help your clients notice the new features or the new available colors of your product without wasting your time writing another product information sheet. Select quickly the products you want to display in the "New products" category thanks to a single interface. 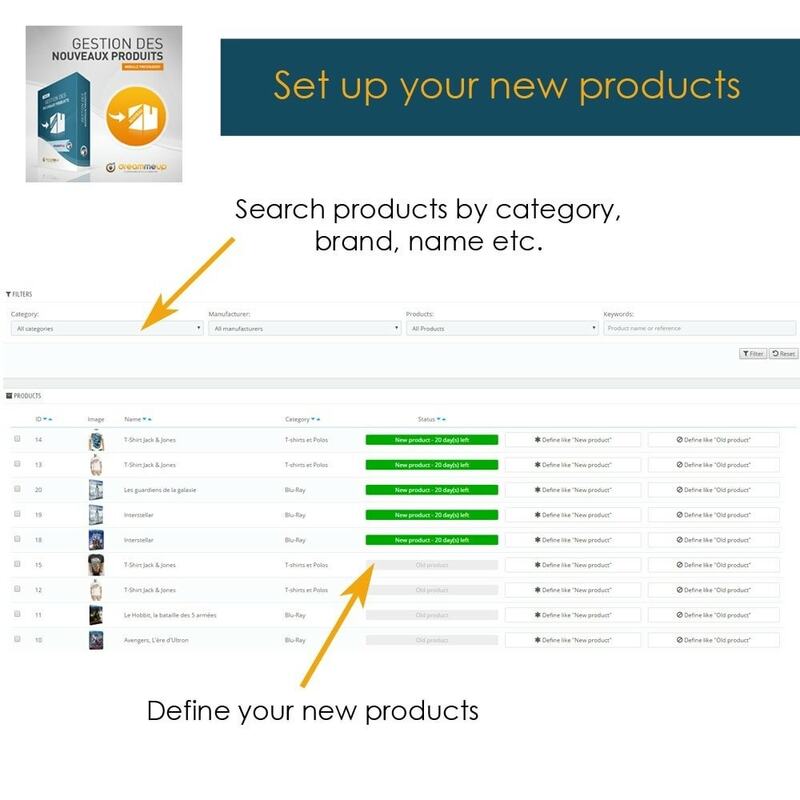 Promote your product‘s new features or new available colors by displaying it in the "New products" category without having to write another product information sheet. Display your new products quickly on the provided spaces. It is possible to select any product, with no age limit. The modification of the display time is easier. More chances to see the new features or versions (colors etc.) of your products.